Moonstone arouses tender passion in lovers, accentuates the wearer’s nature whether positive or negative. A must have gemstone for people who are in LOVE or who have fear to lose their love. This would be such a thoughtful gift for a friend or loved one too. Moonstone in India is known as ‘Chandra Kant Mani’. This stone is a stone of emotional harmony and wellbeing. It has been revered for centuries in India as a stone which can bring harmony and good fortune to marriages and love relationships. Moonstone is said to help one relax and enjoy life, and to help one fully love & appreciate others. It ensures a peaceful sleep, aids in working out problems and drawing love to you. Associated with gardening and traveller’s protection. it’s very good for students too. Emotional benefits derived from Moonstones include emotional balance and stability, stress and anxiety reduction. It helps to clear mental confusion and is a potent aid in making calm, logical decisions. Moonstone is a powerful tool for enhancing psychic abilities and is useful for increasing psychic sensitivity. This is always a stone of good fortune, especially when given as an exchange between lovers. It helps to ensure enduring love and helps reunite loved ones who have parted in anger. It also protects those who travel on water. The ancient Roman natural historian, Pliny, said that the moonstone changed in appearance with the phases of the moon, a belief that persisted into the sixteenth century. 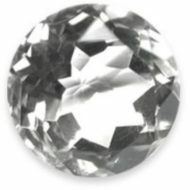 n India, the moonstone is considered a sacred stone, often displayed on a yellow cloth, also considered a sacred colour. The stone is believed to bring good fortune, brought on by a spirit that lives within the stone. It is advised that doctors, nurses and executive should better wear Moonstone. The reason is plain. The moonstone could help relax doctors and nurses in time of job stress. Under pressure, the top executive could loosen up their nerves with the help of moonstone. The moonstone is believed to be very good for both men and women. For men, moonstones are said to be able to help in connecting to their creative side as well as their emotional and sexual side that is usually ignored. It could also enhance or improve a person’s vision, libido and sexual desire. For women, moonstones are believed to be very powerful and beneficial. 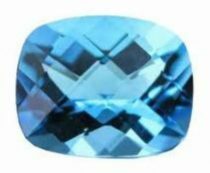 It is known to help in the balancing of menstrual hormones so this would be a particularly good gemstone for those women who are going through menopause. 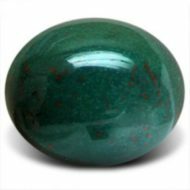 This stone can give an individual a good flow in life as well as greater flexibility. It could also assist in soothing anxiety and stress and enhances a person’s intuitive sensitivity. Some other holistic properties it has are the ability to help lessen the feeling of being too overwhelmed by personal feelings; help in allowing a person to accept new beginnings and other changes; enhance perception, and much more. One of THE POPULAR stone in Bollywood and show business.